The V-CUBE™ 8 brings the daring player a step closer to the ultimate challenge! If the challenge is never enough for you the “big 8” is the way to go. The V-CUBE™ 8 is a uniquely designed and constructed skill game. It is a multi-colored, 8-layered cube that rotates smoothly on based axes. 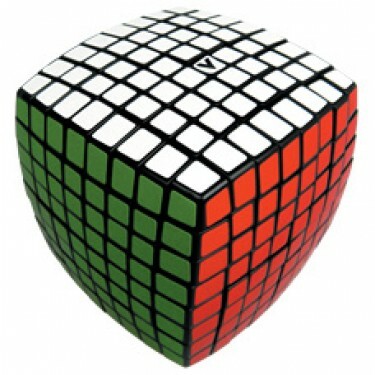 This XXL size cube offers exceptional rotational performance in combination of a prestigious reputation as one of the world’s ultimate cube solving challenges. 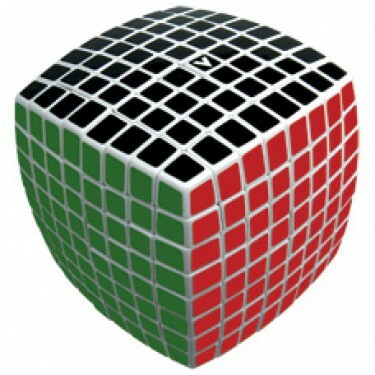 V-CUBE™ 8 has 3.52*10^211 possible permutations and weighs 425g! It consists of 324 small pieces-cubies and the solid-cross that supports them, so that they can rotate independently on based axes. The V-CUBE™ 8 is a unique..